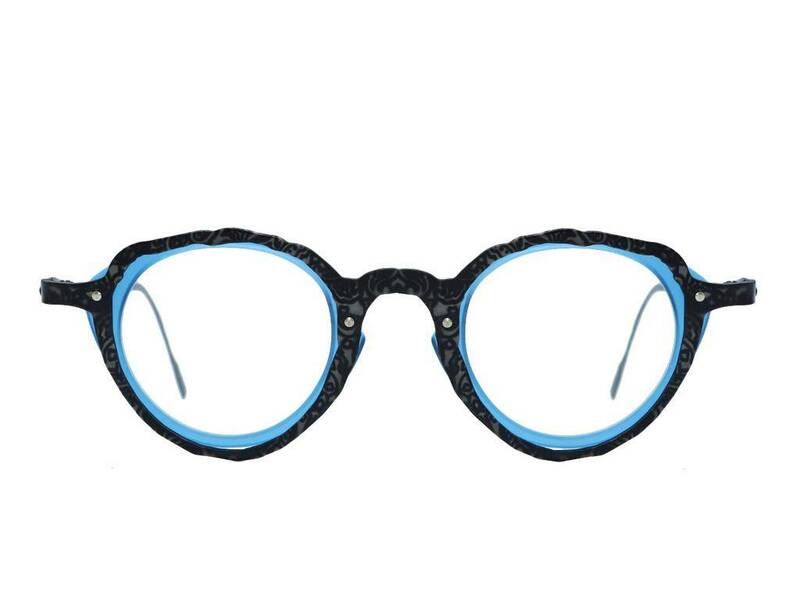 All Eye Witness frames by Theo are subtly asymmetric. This pair are made from blue acetate with a black titanium front overlay. The temples are also titanium. This is part of the vintage collection that is not generally available. I'd be shocked if these frames were on sale anywhere else. We had to visit Theo's offices and scour the basement to get these gems.